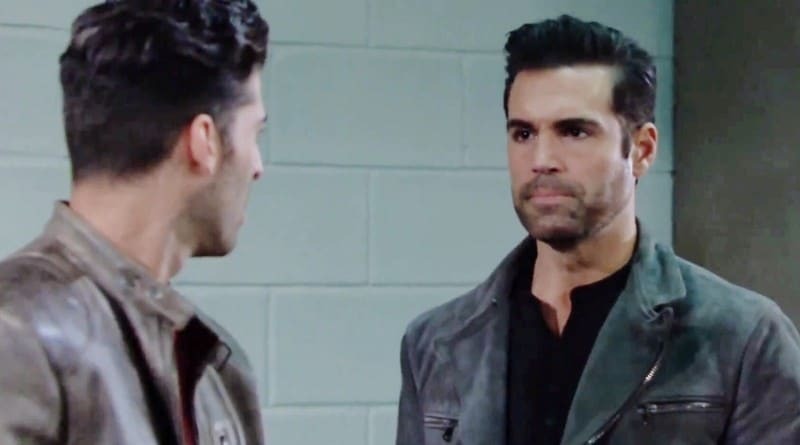 Young and the Restless spoilers conclude that Arturo Rosales (Jason Canela) and his older brother Rey Rosales (Jordi Vilasuso) make a deal. More than likely, this deal has something to do with Mia Rosales (Noemi Gonzalez). While Rey is still upset over Mia’s infidelity, he recently lied to keep her out of trouble — and he’s going to need Arturo to keep this lie going. Rey Rosales has dug himself into a bigger hole and the only person who can help him now is his estranged younger brother Arturo Rosales. After Paul Williams (Doug Davidson) showed up at his apartment with a chance to regain his job as a detective, Rey jumped at the chance. Paul told him he simply had to solve one case. Unluckily for Rey, this case is Lola Rosales’ (Sasha Calle) attack. Rey already knows who attacked his younger sister, as do Young and the Restless viewers. Mia Rosales almost killed Lola because she thought that she was Abby Newman (Melissa Ordway). In order to keep his pregnant wife in the clear, the former detective lied to Paul and said that Mia had an alibi. He says that she was with Arturo that night. Now, Rey has to get hold of Arturo before Paul does — and from this new compromise the brothers make, it looks like he might. Rey: "Paul was just here…he's considering giving me back my job…there's a condition." Mia: "What do you have to do?" Even after she cheated on him with his little brother for a second time in a row, Rey Rosales continues to help his wife Mia on Young and the Restless. While she initially lied about being pregnant, a trip to the hospital surprised her with the truth. She is pregnant, and she’s almost certain now that it’s Rey’s. Or so she says. Because of this pregnancy, Rey has agreed to keep her out of jail. He refused to arrest her, even though she almost killed his little sister. Now that he has lied to Paul, he needs to make sure he covers up loose ends. This means telling Arturo about the lie that he now needs to also tell. Unfortunately for him, it looks like Paul Williams only continues to grow suspicious of the former police officer. Arturo could always disagree and refuse to go along with this plan. However, spoilers conclude that the two do end up making a deal with each other, so the younger brother may simply go along with what Rey has already done. After all, Arturo has a lot to make up to his older brother. This latest spoiler could always tie into a few departures happening on Y&R. 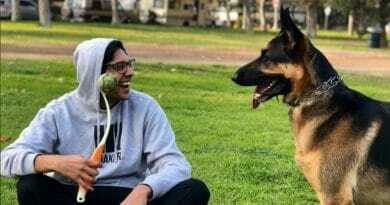 As fans may know, Arturo Rosales will leave at some point in the near future, as portrayer Jason Canela has announced his exit. He’s not the only Rosales leaving, though. Noemi Gonzalez, who plays Mia, also announced her exit from Young and the Restless. So, this could always mean that the duo leaves town together. Their departure could have something to do with the deal made between Arturo and Rey Rosales. Of course, there’s Mia’s baby to think about. While she says that the baby is Rey’s, she could be lying. This wouldn’t be the first time she said a huge lie in order to save herself. As Arturo Rosales and Rey Rosales make a new deal, will this tie into Arturo and Mia’s exit? Return to Soap Dirt for more daily Young and the Restless news. ← ‘General Hospital’ Spoilers: Shiloh Confronts Jason – Angry Over Kristina Kidnapping? ‘Young and the Restless’ Brittany Hodges Back to YR – Nikki’s Lawyer for JT Murder?